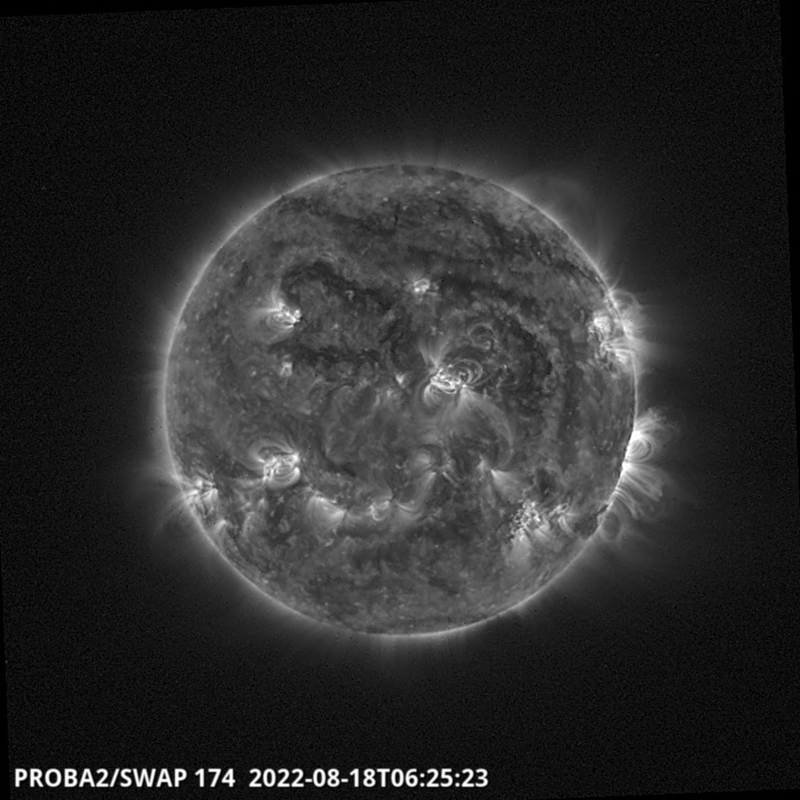 SWAP observed the solar eclipse in two subsequent orbits of PROBA2 . The movie above (click image) thus shows the moon passing over the sun twice: a first time between 07:55UT and 08:02UT. 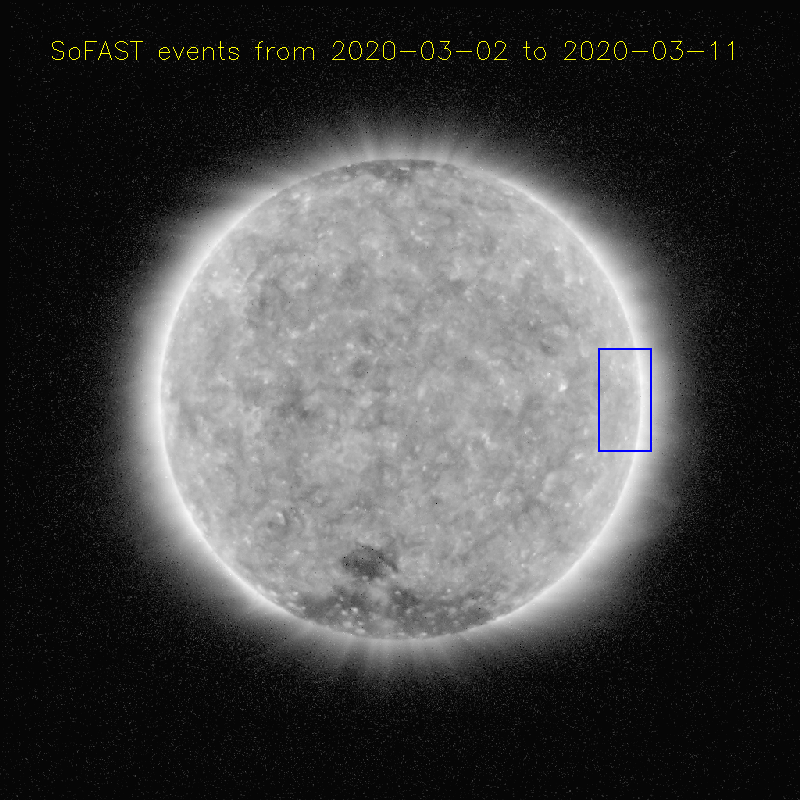 A second time between 09:27UT and 09:32UT. LYRA observed 2 (asymmetric) dips at the time of the two transits. Below the short wavelength channels are shown, together with SWAP average intensity. The two SWAP peaks right after the transits are due to the crossing of the South Atlantic Anomaly. This third solar eclipse of 2011 is only visible from a tiny strip on Antartica . 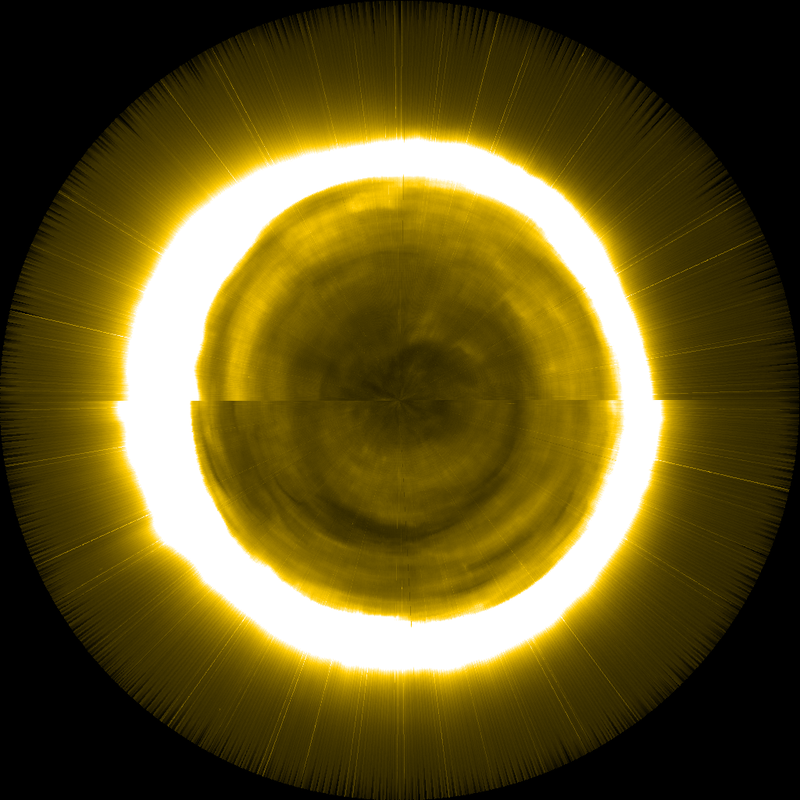 Given the local winter, this partial eclipse occurs with the Sun on or just above the horizon of the Antartica landscape. It is obviously very unlikely that any ground-observer will witness this eclipse. However solar satellites in low-Earth polar orbit cross each pole approximately every 100min. In the case of PROBA2, this means that the penumbral zone of the partial eclipse will be crossed twice. 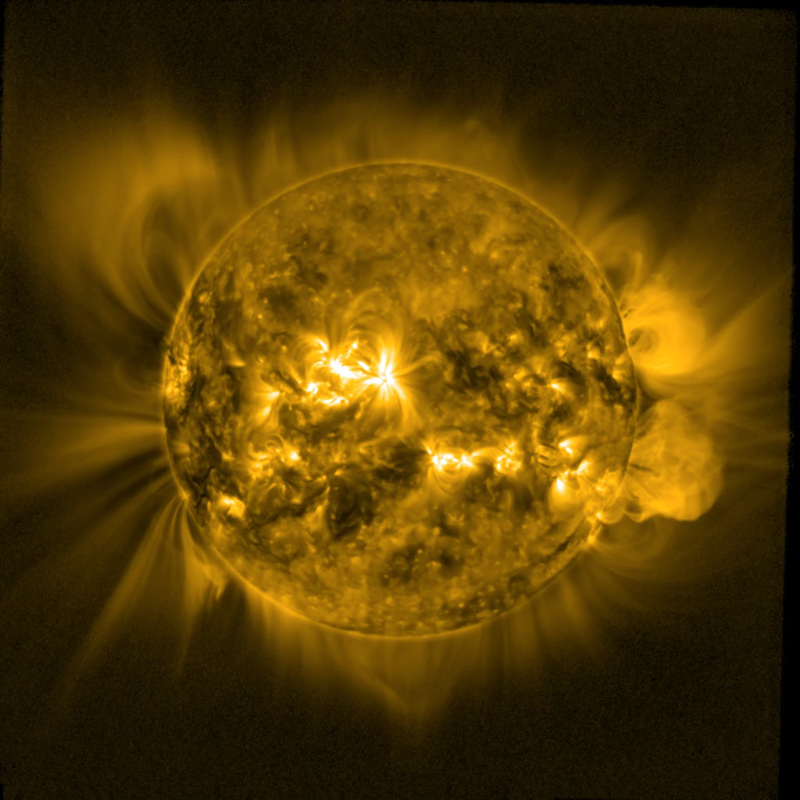 Since PROBA2 is a space weather satellite aiming at publishing its observations in near-real time, we are confident that this webpage will be the first place on the planet where someone will actually see the eclipse. The details of this eclipse can also be consulted from the info pages of the Royal Observatory of Belgium in Dutch and French. Knowing the PROBA2 orbit and performing the appropriate celestial mechanics computations, one can calculate precisely when and how the eclipse will be visible from the PROBA2 orbit (see predictions in movie on the right). Obviously we were not the only ones looking out for the July 1 PROBA2 eclipse: more illustrated predictions already circulated on YouTube. Solar eclipses have been predicted since ancient times using the so-called Saros cycles : after 18 years and a bit, the relative positions of the Sun, Moon and Earth repeat approximatively. This means that 18 years after a solar eclipse, a similar eclipse is visible from somewhere on the Earth. The July 1 eclipse is special because it is the first one of the new Saros cycle 156. In 18 years we will again have a solar eclipse and this will go on untill the last eclipse of Saros Cycle 156 on July 14, 3237. Price winner PROBA2 also won a price with the data above! Spaceweather.com offered a $50 reward to anyone who photographed the partial solar eclipse of July 1st, as it was so difficult to observe. And PROBA2 did so and won the price!